The class was asked to develop a whimsical subject. I found the idea online (of course) – then had to carve the cucs in class, assemble on the plate, and then paint during the week. 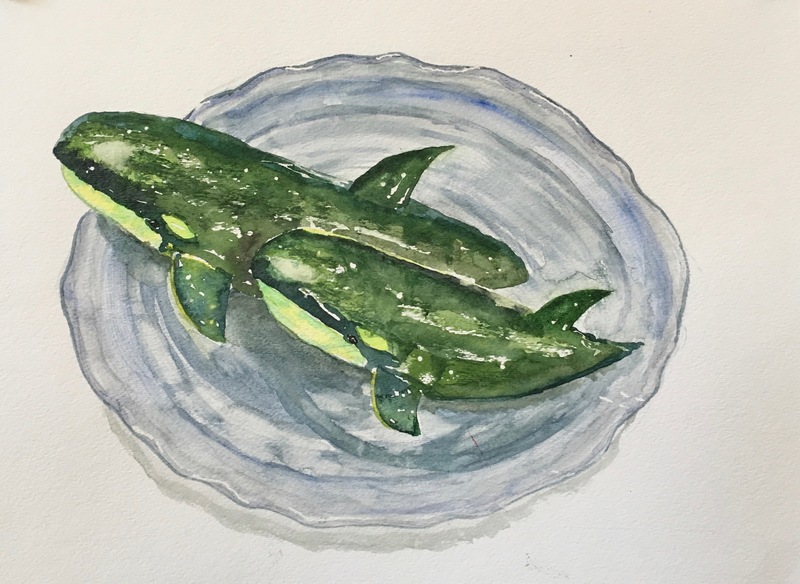 This entry was posted in The Arts and tagged cucumbers, orca whales, Watercolor by hankinsonholmes. Bookmark the permalink.